The meeting was scheduled to be held at Memorial Hall in Blyth, but due a broken pipe in the sprinkler system and flooding, the event was moved to the brewery location at the last minute. Pettapiece, who serves as the Parliamentary Assistant for the Minister of Agriculture, Food and Rural Affairs, said he hosted Friday’s roundtable and others like it across the province to hear concerns from Ontario farmers. In an interview with The Citizen, he said the roundtable consultations aren’t about him bringing information to communities, but rather for him to listen to farmers from all over Ontario and hear their concerns. While some concerns are regional, he says some common themes are emerging province-wide. The goal of the roundtables, he said, is so the provincial government can work to eliminate red tape from the world of agriculture. Province-wide issues, he said, include what many farmers consider to be extraneous bookkeeping. He said that in agriculture, there is some book work that currently has to be done that might be unnecessary to update annually. Not only does unnecessary paperwork cost farmers time, he said, but it also costs them money. Locally, Pettapiece said he heard about the labour shortage in Huron and its surrounding counties. Not being able to find qualified labour, he said, is a problem for the world of agriculture. 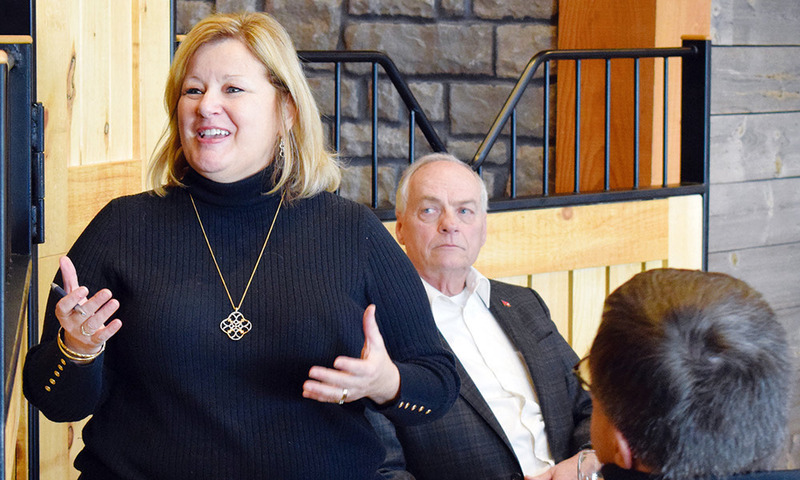 Thompson, who is also the Minister of Education, said she was “buoyed” by the discussion at Cowbell on Friday, adding that she was really happy with the level of discussion that took place that day. Thompson also said that there was great agricultural diversity in the crowd, drawing farmers as well as implement dealers, members of local co-operatives, insurance companies and more. What surprised Thompson, she said, was that the topic of education came up, which was welcomed by her. She said she didn’t expect education to come up, but she welcomed the connection. She said it came through “loud and clear” that the government needs to be doing more to teach students about agri-food and potential careers in the world of agriculture. Thompson said she hoped to continue to bring her fellow MPPs to the area to discuss important issues at hand. Today (Feb. 7), Thompson was due to host another roundtable, this time in Formosa with members of local conservation authorities with Ajax MPP Rod Phillips, the Minister of the Environment, Conservation and Parks.